Touch Up Paint Repair Brush Pen ? D.I.Y Car Touch Up Paint & Repair Brush Pen? Q) What Should I Use To Touch Up Car Paint Scratches? A) Use The New Car Touch Up Paint Brush Pen Combination Kits That Are Set To Fully Remove Light Scratches & Hide Camouflage Deep Rusting Scratches, Dings & Alike Imperfections Permanently, Affordably & Easily Using O.E.M Certified Automotive Scratch Repair Products & Materials. Here you will find all Brush Touch Up Paint Brush Pens & all Other Kits For Cars. Browse ans choose from Quality repair products, other necessary repair tools, repair guides & everything else you need to know about Paint Restoration removing, repairing, camouflaging scratches, chipped paint and all other types of damaged paint surfaces. 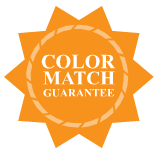 Choose from thousands of Factory Exactly Matched Original Color Samples. There is an art to removing car scratches with exceptional finished repair results, so don’t get caught up by buying the wrong or insufficient poor quality touch up repair products that will likely making your repaired scratches and paint damage worse than the original scratch. Also See All Car Makes color repair charts. Easily Fix Your Scratched Paint? Brush Pen To Finding Car Touch Up Paint Codes? auto touch up product repair Brush Pen for cars? Car Touch Up Paint Scratch Repair Pen Brush Pen? Car Touch Up Color Scratch Repair Paint Pen Brush Pen? Car Touch Up Scratch Repair Brush Cap Bottle Brush Pen ? Car Paint Color Brush Cap Bottle Scratch Repair Brush Pen? Car Touch Up Paint Scratch Repair Aerosol Spray Brush Pen? Car Paint Color Aerosol Spray Can Scratch Repair Brush Pen? Car Touch Up Paint Scratch Repair Accessories Brush Pen? Car Touch Up Paint Scratch Accessories Brush Pen ? Car Touch Up Paint Scratch Repair Brush Pen ? Touch Up Scratch Repair Brush Pen? Brush Pen Touch Up Paint Scratch Repair Color Sample Charts? Brush Pen Touch Up Paint Scratch Repair Paint Types? Car Touch Up Paint Scratch Repair Brush Pen Guides? Brush Pen Help Ordering Car Touch Up Scratch Repair Products?